Are you ready to rock-n-roll at Centricity LIVE? Do you have a favorite Chris Daughtry song? Of course you do… so come prepared to rock-n-roll to his greatest hits as he performs LIVE ON STAGE during his keynote address. Chris Daughtry is a rock guitarist, singer, and songwriter. His self-titled album sold more than 1 million copies after just five weeks of release, becoming the fastest selling debut rock album in history. 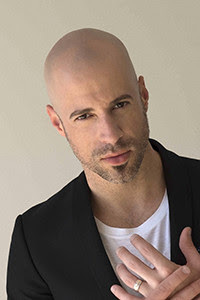 Daughtry’s keynote will highlight his path to stardom, his experience on American Idol, and his community outreach with Musicians On Call, a non-profit organization that brings music to the bedsides of people that need it most – hospital patients and their care givers. Daughtry’s address will feature an acoustic performance of his hit songs, including It’s Not Over and Home. Kathleen Sebelius was appointed Secretary of Health and Human Services (2009-2014) by President Barack Obama. Prior to that, she served as Kansas Governor (2003-2009), in the Kansas House of Representatives and as Insurance Commissioner. Join Secretary Sebelius as she shares her perspective on United States healthcare, the future of the Affordable Care Act, and the challenges, successes, and key learnings realized in implementing major healthcare IT systems. A prolific actor, Rob Lowe is instantly recognized for a multitude of performances including St. Elmo’s Fire, The West Wing, and Parks and Recreation. Off screen, he is a dedicated activist in the fight against cancer, working with organizations like the Cancer Hope Network and Stand Up To Cancer. Lowe uses candor and humor to share insights about Hollywood, his perspective on marriage and fatherhood, and his passion to raise awareness and support for cancer survivors. Have your questions ready… Rob Lowe will answer many of them LIVE ON STAGE! Bring 3+ people from the same organization… Save $100* per ticket! * Applies to Full Registrations only. See website for details. It’s Delighter Days again! GE Healthcare Ambulatory Practice Solutions Engineering Team reserves two days to work on a selected set of small enhancements that will delight customers and improve customers’ experience with the Centricity products. The best part is you get to choose the enhancement or feature the team develops! Please take a few minutes to complete the survey to rate the candidates based on how important and valuable they are to your organization. The candidates rated as most important to the greatest number of organizations will have priority on the next Delighter Days! Your participation is invaluable! Please complete the survey by March 27th to be entered into the Delighter Days contest. Don’t forget, if you ever have an enhancement or feature request please email [email protected] Your input is always appreciated! Tip #1: Be with your user group. As an Ambulatory EMR expert, you run with an exclusive crowd. But do you know where your peers will be May 17-20? They’ll be at CHUG at Centricity LIVE in Phoenix, Arizona. Tip #2: Listen to your peers. You’re a trend-setter, but you also like proof before making decisions. Watch this video to see what your peers have to say about CHUG at Centricity LIVE. Tip #3: Share what you’ve learned. During CHUG at Centricity LIVE, you’ll hear the latest ideas and best practices to help you maximize your Centricity investment. Share your experience on LinkedIn, Twitter, and Facebook. Tip #4: Branch out into new markets. Don’t limit yourself. Centricity LIVE will feature 8 great tracks, 250+ sessions and will host more than 2,500 healthcare industry experts. Experience as much as you can. Tip #5: Go where the action is. No one can stay holed-up in their office 100% of the time. There’s no substitute for networking with peers in an environment of education, innovation… and fun. Don’t miss CHUG at Centricity LIVE 2016… REGISTER TODAY! Bring 3+ people from the same organization – Save $100* per ticket! Mark your calendar, and bookmark the CHUG at Centricity LIVE 2016 web page to get updates on conference content in the coming months. If you do not want to receive future emails from CHUG or Beatty Group then go to: Opt-Out.